We get plenty of deals submitted to us at Moneybright week on week, and as such – it’s always our pleasure to pick our favourite from the bunch to share with our readers. This week, we’re bringing to you a free delivery offer you won’t be able to refuse, especially for the home-decor enthusiasts amongst us. 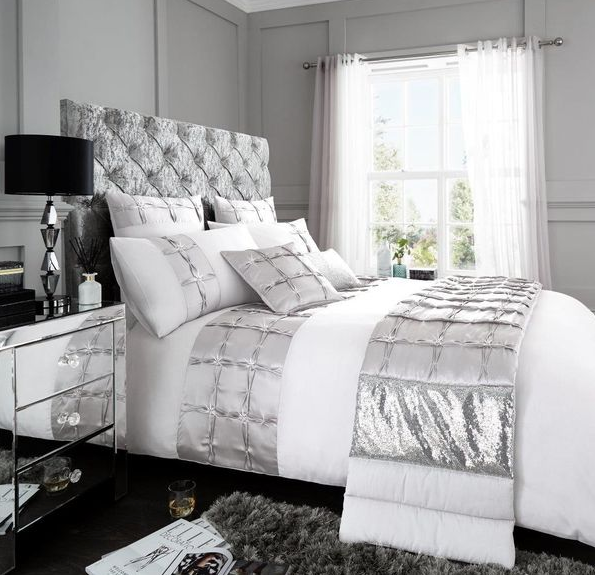 Discount Home Textiles is offering free delivery for orders over £60 of bedding and curtains. They have a wide range of choices and with their total bargain prices, it’ll be hard to resist adding £60’s worth into your basket anyway. The outlet offers a wide range of stylish bedding and curtains, alongside other decor accompaniments such as cushions, blankets and throws too. So if you’re planning on giving your bedroom or home a little renovation as the spring approaches, there’s really no better time. Discount Home Textiles will aim to deliver products to you using their chosen courier service within 3 – 5 working days of your purchase, though it’s worth noting that this time period is only an estimate and they cannot guarantee delivery within this remit during busy periods. Where can I find the product/deal? You can enjoy the free delivery deal on the Discount Home Textiles site, here. How do I get the deal? The deal is applicable only for bedding & curtains, add those to your basket up to the value of £60 and the discount will be applied automatically. Or contact Discount Home Textiles if you have any issues with this. When does the deal expire? This deal is ongoing, but it isn’t necessarily eternal – so grab it while you can! Online or offline? This deal is available online only. Posted on January 31st, 2019 in Deal Of The Week.